2017 was the year that cryptocurrencies really started to take off, led by none other than Bitcoin. Over the year it grew by over 1,300%, from one bitcoin being worth just under $1,000 at the start of 2017 to over $14,500 at its peak in December. Since then it has experienced something of a dip, with the volatility that surrounds cryptocurrencies really taking hold. 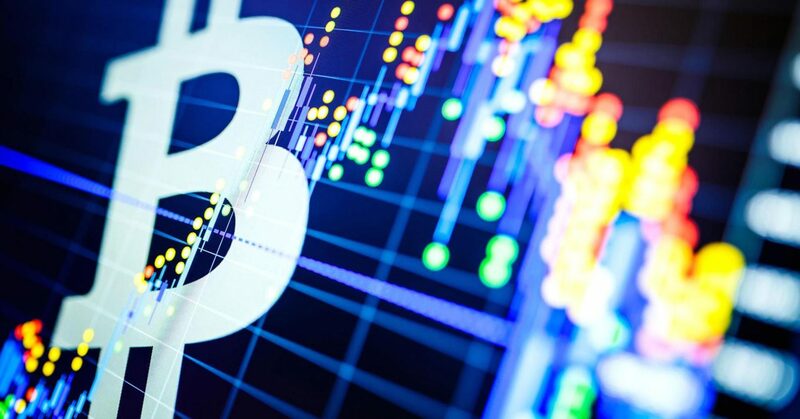 Still, there are various things happening and potential action in the future that could see bitcoin and other cryptocurrencies rise in value again. Given the boom in popularity of cryptocurrencies in 2017, such as bitcoin, Ripple and Ether, many forex brokers started to add them to their roster. Making it possible to buy and sell cryptocurrencies through an online trading platform has greatly improved accessibility for investors and provided a little more legitimacy behind these digital currencies. For those who are still sceptical about cryptocurrencies, demo forex trading accounts also offer the opportunity for many to practise and get a sense of the market without risking their actual money. Cryptocurrencies can also be traded as a CFD with many online forex brokers along with buying ETFs and more. Blockchain is the system used to power bitcoin and it has exploded along with the value of such a cryptocurrency. However, there are still some problems with blockchain that have resulted in a number of sceptics. These will need to be addressed and improved for cryptocurrencies that use the technology to grow. There have been performance issues that have made fast-paced trading difficult, putting off certain types of traders. The complexity of blockchain and potential increase of transaction costs could also see the popularity of cryptocurrencies wane. Plus, there are regulation issues due to its immutability. Supply and demand are the main two factors that lead to rise and falls in currency value, and the same is true for cryptocurrencies. One thing that could be a great force in increasing the value of any cryptocurrency is if it is adopted by a mainstream, major company. This could be something like a taxi service accepting bitcoin as a way to pay for journeys, to ecommerce sites allowing it to purchase products. At the moment, either of those possibilities seem a long way away, yet closer than a few years ago. Cryptocurrencies have always been volatile in their short life, so there’s a decent chance that they will bounce back at some point in 2018, but when? The post What Could See Cryptocurrencies Bounce Back? appeared first on Intelligent Head Quarters.